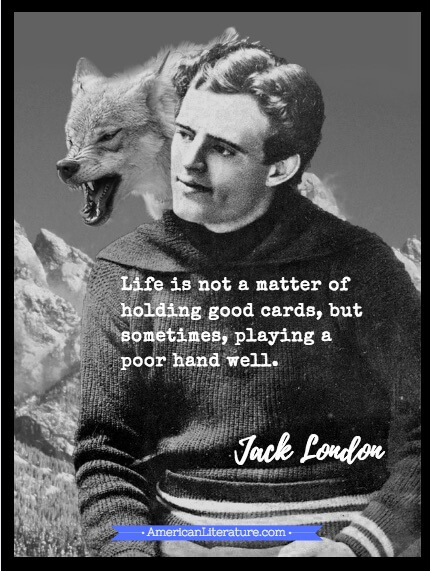 Jack London (Jan 12, 1876 - Nov 22, 1916) was an American author best known for writing The Call of the Wild. 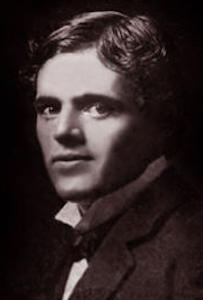 Jack London was his pen name, likely born in San Francisco, California as John Griffith Chaney. Like the restive characters in his works, London sought a variety of experiences as a young man including sailor, hobo and an agitator for jobs during the depression. He also wrote some of the earliest Dystopian Fiction, including The Iron Heel which portrays America under tyrannical rule, written ten years before the Bolsheviks took over Russia. London became a well-known writer and was one of the first to achieve true financial success from his writings. His success brought controversy as well. He was prodigious writer producing over 500 works and was often accused of plagiarism. The manner in which he chose to work contributed to those accusations; he bought plots for stories and novels from a young Sinclair Lewis and he used incidents read in newspapers as material for his stories. London's most famous short story, particularly popular in both middle- and high school language arts classes, is To Build a Fire. His best-selling book during his lifetime was his 1910 novel Burning Daylight. "Life is not always a matter of holding good cards, but sometimes, playing a poor hand well." "The most beautiful stories always start with wreckage." 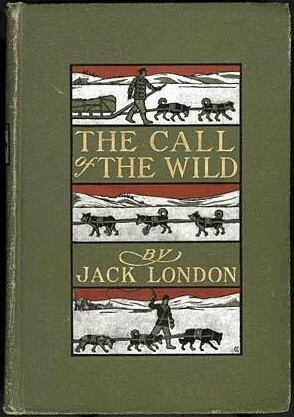 Enjoy our useful The Call of the Wild Study Guide, and visit our retrospective of Jack London images on Pinterest.